On March 21 1989, Madonna’s Like A Prayer album was released. 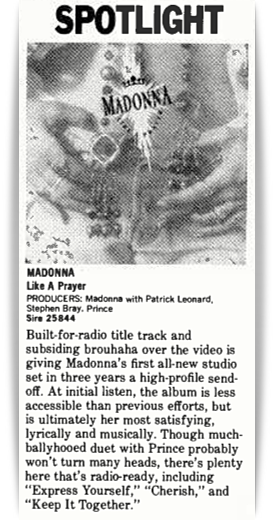 Written and produced by Madonna with Patrick Leonard, Stephen Bray and Prince, the Like A Prayer album was considered to be a major artistic leap forward for Madonna, and was certainly her most personal offering to date at the time of its release. Out of all of Madonna’s albums, Like a Prayer is her most explicit attempt at a major artistic statement. Even though it is apparent that she is trying to make a “serious” album, the kaleidoscopic variety of pop styles on Like a Prayer is quite dazzling. 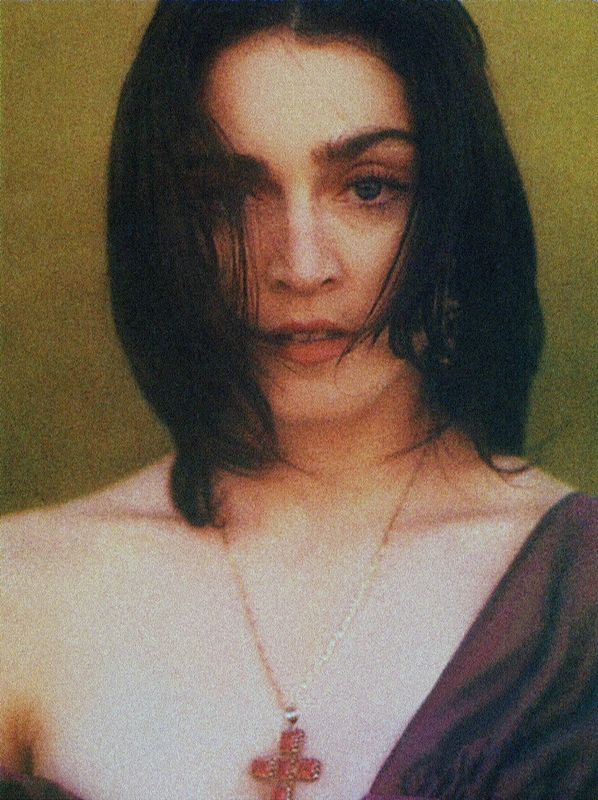 Ranging from the deep funk of Express Yourself and Keep It Together to the haunting Oh Father and Like a Prayer, Madonna displays a commanding sense of songcraft, making this her best and most consistent album. Happy 30th anniversary to one of our favorites – the phenomenal Like A Prayer! On March 16 1995, Madonna’s The Immaculate Collection was certified 6x platinum (6 million units) in the USA. On the surface, the single-disc hits compilation The Immaculate Collection appears to be a definitive retrospective of Madonna’s heyday in the ’80s. After all, it features 17 of Madonna’s greatest hits, from Holiday and Like a Virgin to Like a Prayer and Vogue. However, looks can be deceiving. It’s true that The Immaculate Collection contains the bulk of Madonna’s hits, but there are several big hits that aren’t present, including Angel, Dress You Up, True Blue, Who’s That Girl and Causing a Commotion. The songs that are included are frequently altered. Everything on the collection is remastered in Q-sound, which gives an exaggerated sense of stereo separation that often distorts the original intent of the recordings. Furthermore, several songs are faster than their original versions and some are faded out earlier than either their single or album versions, while others are segued together. In other words, while all the hits are present, they’re simply not in their correct versions. Nevertheless, The Immaculate Collection remains a necessary purchase, because it captures everything Madonna is about and it proves that she was one of the finest singles artists of the ’80s. Until the original single versions are compiled on another album, The Immaculate Collection is the closest thing to a definitive retrospective. 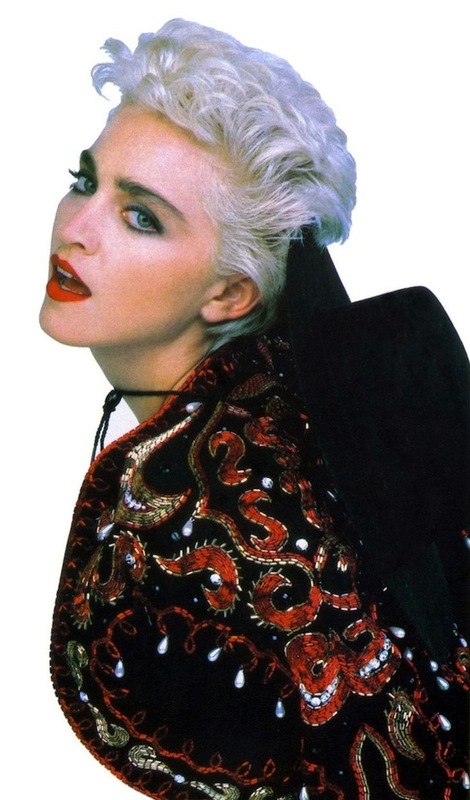 On July 12 1986, Madonna’s third album, True Blue, debuted at #1 on the UK Albums Chart. True Blue is the album where Madonna truly became Madonna the Superstar — the endlessly ambitious, fearlessly provocative entertainer that knew how to outrage, spark debates, get good reviews — and make good music while she’s at it. To complain that True Blue is calculated is to not get Madonna — that’s a large part of what she does, and she is exceptional at it, but she also makes fine music. What’s brilliant about True Blue is that she does both here, using the music to hook in critics just as she’s baiting a mass audience with such masterstrokes as “Papa Don’t Preach,” where she defiantly states she’s keeping her baby. It’s easy to position anti-abortionism as feminism, but what’s tricky is to transcend your status as a dance-pop diva by consciously recalling classic girl-group pop (“True Blue,” “Jimmy Jimmy”) to snag the critics, while deepening the dance grooves (“Open Your Heart,” “Where’s the Party”), touching on Latin rhythms (“La Isla Bonita”), making a plea for world peace (“Love Makes the World Go Round”), and delivering a tremendous ballad that rewrites the rules of adult contemporary crossover (“Live to Tell”). It’s even harder to have the entire album play as an organic, cohesive work. 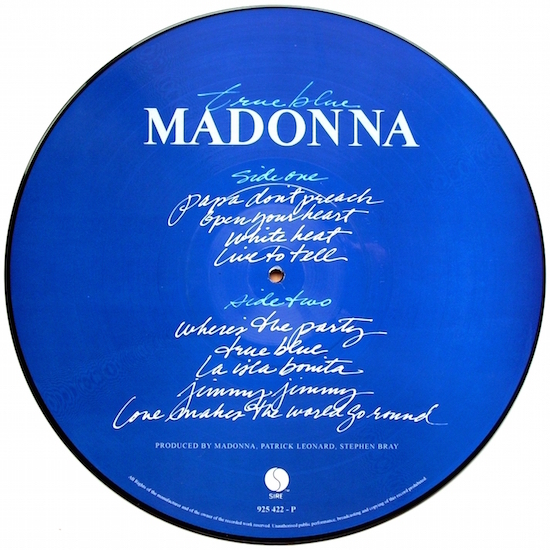 Certainly, there’s some calculation behind the entire thing, but what matters is the end result, one of the great dance-pop albums, a record that demonstrates Madonna’s true skills as a songwriter, record-maker, provocateur, and entertainer through its wide reach, accomplishment, and sheer sense of fun. 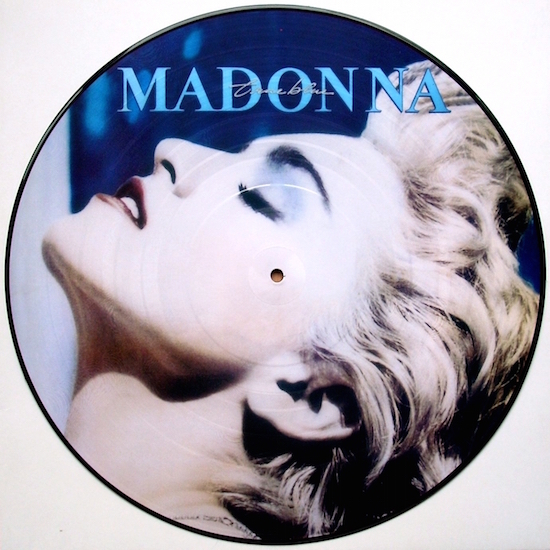 On August 11 1987, Madonna’s True Blue album was certified 5x platinum (for shipment of 5 million units) in the USA. 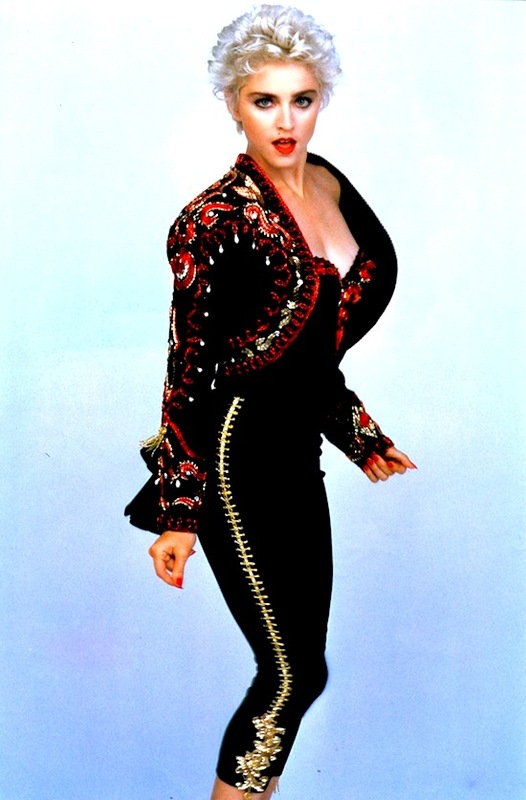 On January 23 1988, Madonna’s You Can Dance remix album hit #14 (and peaked) on the Billboard 200 chart. Released in 1987 as a stopgap, the remix album You Can Dance reworks material from Madonna’s first three albums. Actually, it keeps the spotlight on her first record, adding non-LP singles like “Into the Groove” for good measure, along with a bonus track of “Where’s the Party.” Since it’s a dance album, it doesn’t matter that “Holiday” and “Into the Groove” are here twice, once each in dub versions, because the essential grooves and music are quite different in each incarnation. It is true that some of this now sounds dated — these are quite clearly extended mixes from the mid-’80s — but that’s part of its charm, and it all holds together quite well. Not essential, but fun.